It does not feel like an end of November day outside right now. The temperature is still in the positives and I feel very warm in just a fleece jacket. Which is good…..as my winter jacket does not fit and there is no way I’m spending good money on a jacket that I will only use for maybe 2 more weeks. Now when I resume training in the spring, I will be able to actually watch my pacing (which has been an issue) and measure distances. 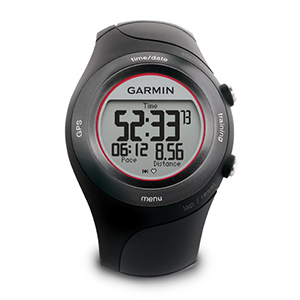 As I plan to ‘graduate’ from 5K to 10K/maybe half-marathon, it is a bit more crucial that I have a watch that will tell me more information than my HR and time. The watch did sell out pretty fast and it appears that it is no longer available.